North County Correctional Facility | Jail, Arrest & Bail Bond Info. North County Correctional Facility | Jail, Arrest & Bail Bond Info. 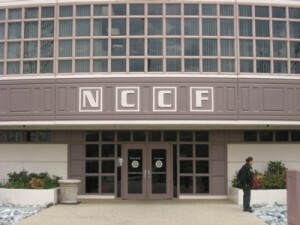 Often referred to as Wayside, the North County Correctional Facility (or NCCF) in Castaic, CA is run by the Los Angeles County Sheriff’s Department. 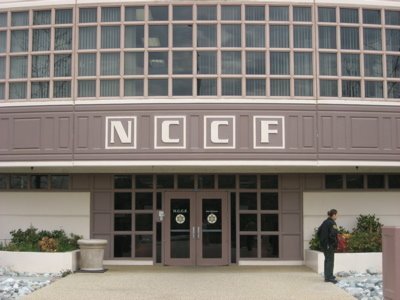 NCCF is actually made up of five separate jails that act as one cohesive unit and is a maximum security facility. The North County Correctional Facility houses anywhere up to 4,000 inmates at once. As such, those who are bailed out are usually transferred first to Twin Towers Jail by the Sheriff’s Department and then are released from there. Because of this transfer, once bail has been posted it can take up to 24 hours for an inmate to finally be released. As such, it is best to begin the bail bond application process as soon as possible. If someone you know is in custody at NCCF, a licensed bail bondsman stands ready to help you 24 hours a day, 7 days a week. The quickest way to have your friend or loved one released from North County Correctional Facility as soon as possible is to give us a call at 661-260-2245 or toll-free, 1-855-414-2245. Visitation at the NCCF is allowed on Saturdays and Sundays, as well as National Holidays including: New Years Day, Memorial Day, Independence Day, Labor Day, Thanksgiving and Christmas. Visitor registration is from 8:00 am to 2:00 pm and up to 3 visitors may see the inmate at once, but not for more than 30 minutes with a total of 60 visitation minutes allowed each weekend. The first thing to do when you want to bail your friend or loved one out of NCCF is to give us a call locally at 661-260-2245. We will require the inmate’s full name, birth date and date and time of arrest. If you don’t have that information, that’s okay, we can help locate it. We will then locate your friend or loved one and verify their eligibility for bail. Once all this has been completed, there will be a bail bond contract and an application form for you to fill out and sign. Once the paperwork is complete and the bond payment has been arranged, we will post the bond at the jail where the defendant is being held. It can generally take a few hours for a bail bond, once posted, to go through the system and your friend or loved one to be released. There is no way to shorten this time, therefore, in order to get the quickest release possible, it is a good idea to start the bail bond process started immediately. As the signer of the bail bond, it is your responsibility to see that the defendant meets all of their court appointments. If they should purposely miss their day in court, it is known as “skipping bail” or “bail forfeiture” and you will be financially responsible for the entire bail amount. That said, missing court is rare and if it does happen, we can help rectify the situation with a quick call directly to our agency. We are available any time of day or night should you have any questions about bailing someone out of North County Correctional Facility – NCCF. Our consultations are always free of charge, so do not hesitate to call should you require information or wish to get the bail bond application process started right away. We can be reached at 661-260-2245.